This is an ancient religious site, according to a plaque on the ruins of the old parish church, possibly dating from as early as the 8thC. The burial ground lies at the east end of Loch Duich in Kintail, close to the "Five Sisters of Kintail." 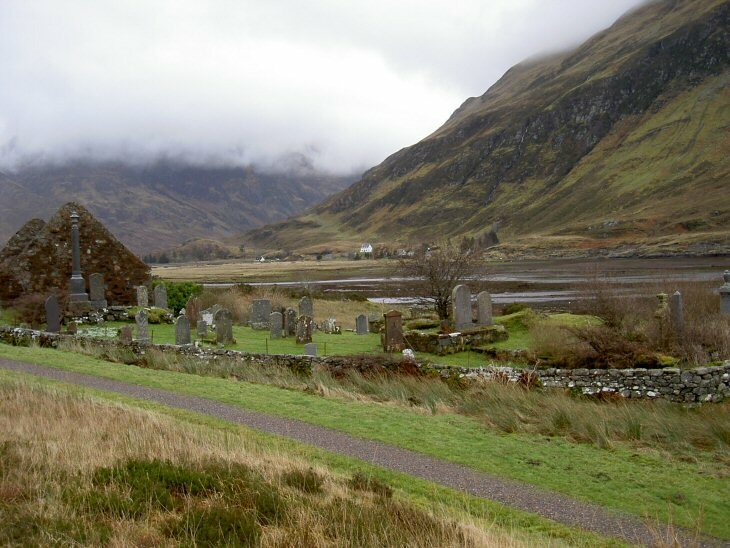 Until modern times, the burial ground served the adjoining parish of Glenshiel. A more recent burial ground adjoins. Link to longer range view below.